Julian Smith of Bondholder The Alternative Board Derby has been named franchisee of the year at the annual UK Conference of The Alternative Board. Julian, who has facilitated Business Owner Peer Boards and coached scores of business leaders since setting up TAB Derby in 2010, expanded its operation last year by taking on facilitator Jimi Ball. The result was that membership, which was already the highest in the UK, has increased by a further 21 per cent. He was judged best franchisee by colleagues from across the country because of TAB Derby’s success and the bond he has created between its members. Julian said: “I am very proud that other TAB franchisees have recognised the work that we do here in Derby. 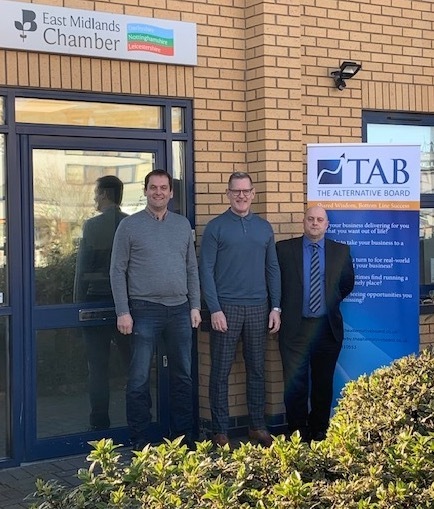 Last month TAB Derby strengthened its partnership with East Midlands Chamber of Commerce by moving into its offices on Pride Park.